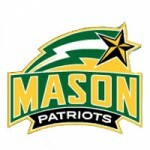 George Mason University Director of Athletics Brad Edwards announced today that men’s basketball coach Paul Hewitt will not return to coach the 2015-16 season. Current issues and court cases involving the NCAA will be discussed during a symposium from noon to 1:45 p.m. on Oct. 15, in Halpin-Harrison Hall, Stimpson Auditorium on the campus of Shenandoah University. George Mason head men’s basketball coach Paul Hewitt has announced the addition of Eric Skeeters as assistant coach. Skeeters joins the Patriots following four seasons at the University of South Florida.